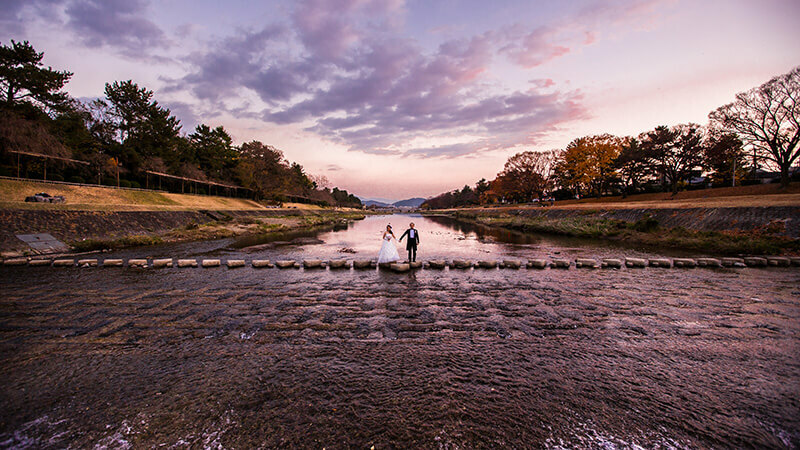 A wedding location that provides the view of Kyoto City Azekura is filled with Japanese style designed for weddings. 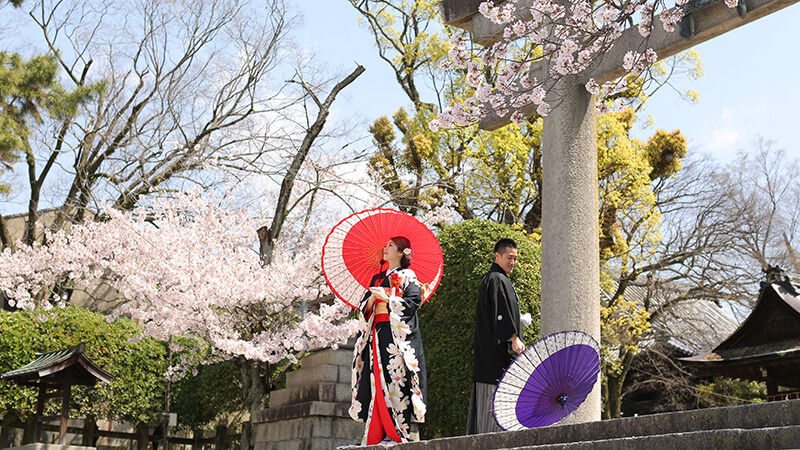 It covers approximately 10 thousand square meters, and its Japanese garden is filled with magnificent scenes such as cherry blossoms, bamboos and maple leaves. 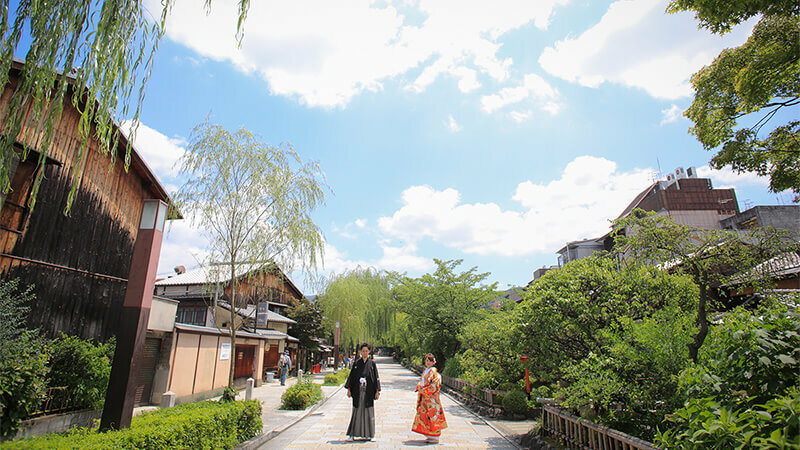 Climbing up the stone road brings you to the hundred-year-old tea room Suifukaku, which provides the view of Kyoto City. Trees and plants flourish throughout the spacious garden, each season with it’s unique appearance. 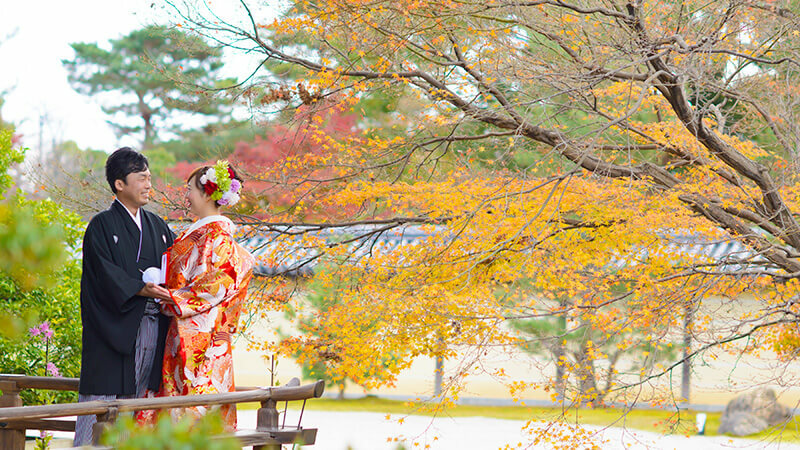 When the cherry blossoms and maple leaves are in full bloom, this place is filled with bright colours. The scene of bamboo forests shooting upwards with the sunlight spreading in between is truly therapeutic. Merely standing here quietly is like listening to stories of the historical sites. The tea room Suifukaku was built in 1880. 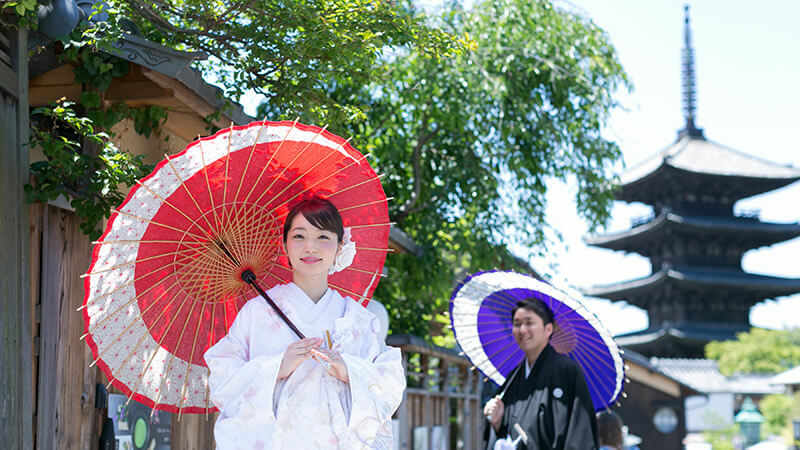 It is situated on a high location, and therefore is an ancient building that provides a great view of Kyoto city. The interior combines living space and tea room, its elegant style relaxes all who come to visit. The windows and the bamboo forest nearby are all great angles for beautiful views.